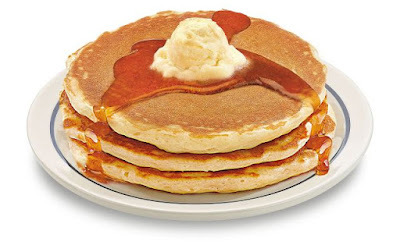 IHOP will be selling short stacks of their signature Original Buttermilk Pancakes for 58 cents on Tuesday, July 12, 2016, from 7 AM to 7 PM. The deal celebrates the 58th anniversary (hence the price) of when the first IHOP opened in the city of Toluca Lake here in Southern California. Interestingly the special price is actually four cents less than what the pancakes cost back then. A short stack is a stack of two pancakes. The offer is only good at participating locations and is limited to one discounted short stack per person.